Operatives of the Economic and Financial Crimes Commission have intercepted gold worth about N211 million being illegally transported through the Murtala Mohammed International Airport, Lagos State. 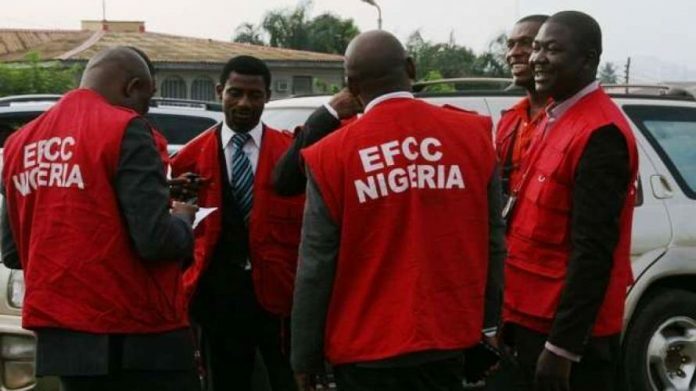 EFCC Acting Head, Media and Publicity, Mr Tony Orilade, disclosed this in a statement in Abuja on Tuesday. Orilade said that the consignment was en route Dubai. He said that investigations were currently ongoing to unravel the accomplice behind the illegal movement of the item. “Meanwhile, the suspect is cooperating with operatives. “It will be recalled that the EFCC also in March 2017, intercepted bags containing a total of N49 million cash being illegally transported out of the country through the Kaduna International Airport,” Orilade said.